Vertex Standard EVX-R70 Digital/Analog Repeater UHF 450-512MHz 40-Watts [EVX-R70-G7-40]. Evolve to Better Communication and Value You can afford to enhance your communications with the digital performance of eVerge™ two-way radios. eVerge™ radios are precision-engineered to deliver value without sacrificing quality — giving you more capabilities and the flexibility you need to communicate at your best. Better Flexible Support: Analog, Digital and Mixed Modes The EVX-R70 conventional Vertex digital repeater operates in both analog and digital modes and can be used with any existing analog two-way radios. Includes “mixed mode” to dynamically switch between analog and digital for flexible support. Better Compatibility and Efficiency eVerge™ radios are compatible with over 74% of the digital radios deployed worldwide using TDMA protocol. eVerge™ digital radios operate with the TDMA (Time Division Multiple Access) protocol for spectrum and power efficiency providing lower total equipment cost compared to FDMA. TDMA digital radio systems support twice as many talk groups and calls without more licensing costs. Continuous Performance Get 100% continuous duty at 40 Watt UHF for easy integration into most repeater sites. Includes integrated power supply with connector for optional external DC battery backup. Multicolored LED Status Indicator LED indicator enables easy monitoring of Vertex digital repeater status. Status indicators include: power, digital/analog mode, Vertex digital repeater disabled, transmit analog/digital mode by slot, and receive analog/digital mode by slot. We use 5 of these repeater at our hotel. We have some set to analog and some set to digital. 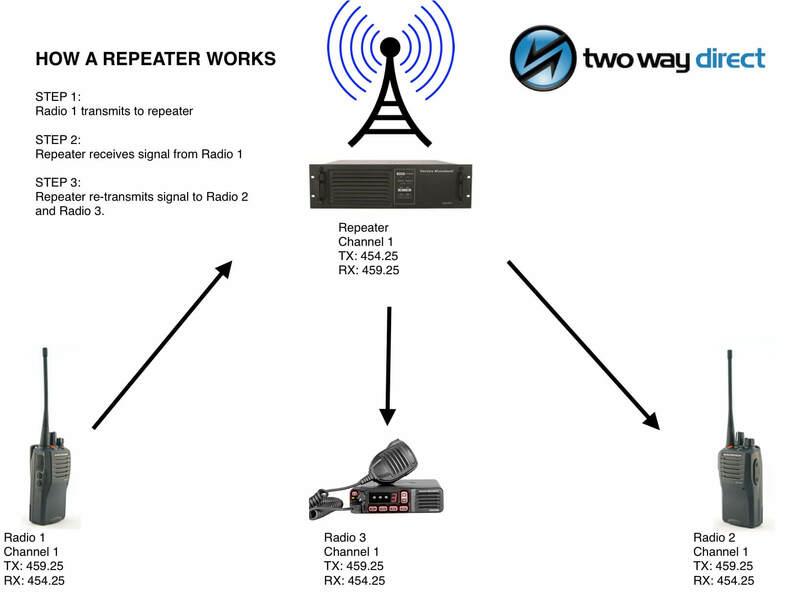 These are powerful repeaters and they work just like the Motorola Mototrbo repeaters. I even opened up the repeater and some of the components even said Motorola right on it. Quality product.